What’s the wind speed and direction? This is the obsession of every sea kayak guide I know. When I first visited Tayvallich, in Argyll to check it out as a potential kayaking destination I was very pleasantly surprised as the area seemed to offer sheltered options no matter what the wind was doing. Tayvallich, pronounced “Tay-vee-al-ich”, is a small village in the Knapdale area of Argyll and Bute, in Scotland. The village faces east into a big bay at the north of Loch Sween sea loch. Once outside the bay the loch extends north into the extremely protected Caol Scotnish, and the delightfully named Fairy Isles offering wooded coastlines and sheltered waters – perfect for beginners and coaching. Heading south down Loch Sween, past Eilean Loain, you reach small Taynish Island and the Ulva Islands, where the tide flows fast in the shallows offering a chance to practice gentle eddy crossings. Continuing 12 km south to the loch entrance the views open up across the Sound of Jura to the Paps of Jura and Islay. The feel of the sea changes here as you begin to feel the influence of swell and tide of the open sea. The cluster of MacCormaig’s islands lie to the south and offer the perfect stepping stones to the biggest of these, Eilean Mor. The tides race through the gaps between the outer islands so careful tidal planning is needed. Eilean Mor offers wonderful wild camping with a huge feeling of remoteness. I won’t have been the first kayaker to lie in my tent listening to the gentle roar of the tiderace with intrepidation. The wind forecast is just that, a ‘best-guess’, however luckily for us kayakers the turning of the tide is guaranteed. So once the calculations are done, launch with the tide taking you north, west, south or back to Tayvallich. If the conditions allow, heading north towards Carsaig in the Sound of Jura is magical. The geology is striking and unusual and pillow lava can be seen at Keillmore jetty. 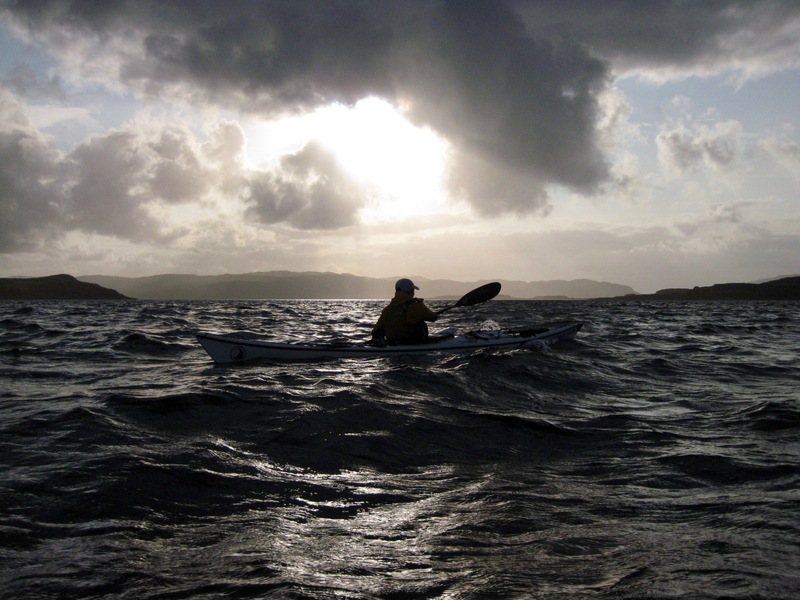 The attractive islands and skerries which lie to the south of Carsaig bay offer the kayaker both shelter from wind and waves and some playful conditions as the ever present tide in the Sound of Jura occasionally makes its presence known. Rounding the corner into Carsaig you feel the calm waters returning as you ease your kayak towards the shore. Carsaig is a well-placed jumping off point for many trips such as exploring and pootling around the many local islands and islets, a day trip to Crinan for lunch and back, an open crossing to Jura taking in the lonely Ruadh Sgeir and multi-day expeditions through the Dorus Mor and the tidal waters in the Sound of Luing. It’s an area now firmly near the top of my list of favourite places to paddle and I’ve already been back to this area and dates planned for a Tayvallich kayaking weekend for 2018. Tide in the Sound of Jura!